This is a round American Motor Hotel Association porcelain sign. This particular American Motor Hotel Association sign is predominantly blue with white text. 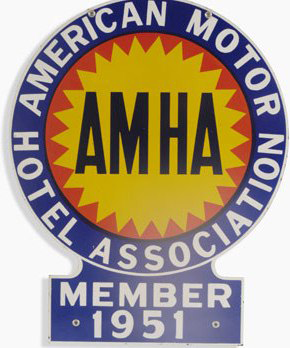 It reads, “American Motor Hotel Association, Member 1951, AMHA” and features a yellow and red center.